Here's an interesting one from Blank Dogs' on-form Captured Tracks imprint - a collection of lesser-known shoegazing fuzz from Jersey band Deardarkhead. Recorded between 1991 and 1993, those of you familiar with the genre should be able to guess the sound, and that familiar soaring guitar squeal we fell in love with on countless Ride and Catherine Wheel tracks is here in spades. 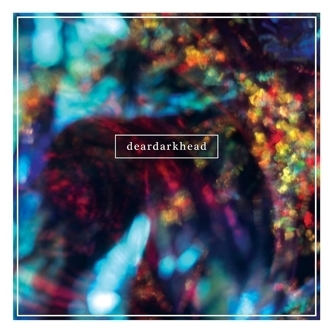 Deardarkhead thankfully manage to steer away from the overproduction that plagued many British records at the time though; these tracks sound almost like demos at times and flourish in the gritty lo-fidelity saturation. Here's how it makes perfect sense on Captured Tracks - there are so many young Brooklyn bands attempting this sound, but the raw appeal and honesty of Deardarkhead is utterly irreplaceable. While the scene was born in the Thames Valley, these guys (pre-internet, remember) were no doubt scrabbling about ordering 7"s from the back of fanzines while piecing together their jagged-yet-gorgeous sound. There have been plenty of nu-gaze hopefuls dropping full-lengths in the last year or so, but sometimes it's nice to hear a record with just that little bit more authenticity. Recommended.